The recommendation from 3/5 Marines, also nicknamed Darkhorse, came as the unit was amid a series of experimental exercises that tested the Marines in different squad size configurations, new weapons and tech, which kicked off in April 2016. In May the commandant decided to cut a Marine from the rifle squad to 12. Following the first phase of the Sea Dragon exercises, the Commandant of the Marine Corps Gen. Robert B. Neller had announced his decision in May to scale down the size of the squad to 12, while adding two new billets — a systems operator and assistant squad leader. Part of that decision was based on manpower concerns across the Corps and the need to plus up positions in other fields to ensure the Corps was adequately staffed with appropriate talent to combat rising sophisticated adversaries. “We made some decisions that were not easy,” Neller said at an October media roundtable. 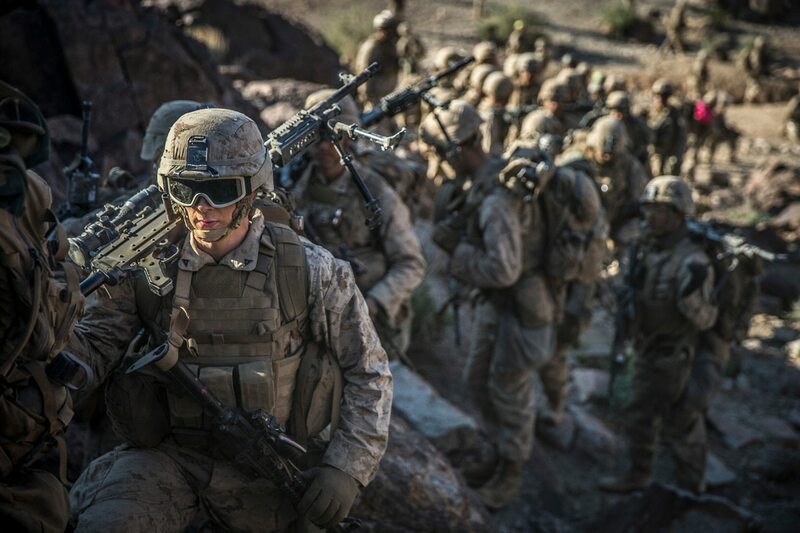 The decision to cut the squad has come under criticism from Marines and some national security experts who have warned that the smaller squad could prove detrimental should the Corps return to the bloody attrition style warfare of the past. However, during an October discussion with reporters, Neller said he was considering a 15-rifle squad model, and that forward deployed Marine Expeditionary Units might carry the larger squad size. Darkhorse’s 15-squad model came with new billets and skills as well. According to its recommendation, the new squad was to come with a drone and counter-drone operator. Darkhorse had also called for a “fighting headquarters,” which would consist of a squad leader, an assistant squad leader qualified as a Joint Fires Observer, or JFO, and another drone operator. The Corps already is amid plans to have a qualified JFO capable of helping direct air, naval and artillery gunfire in every rifle squad. “The combat multiplier is an infantry Marine with additional, specialized, and formal training which can be modified to fit future requirements,” the Darkhorse Marines said in the Marine Corps Gazette article.